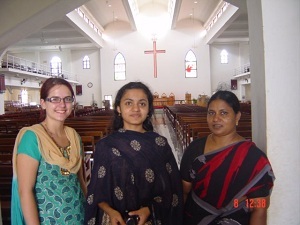 Becky Collins (on the left with Lisha and Sheela) was the first volunteer to arrive at Asha Kiran Ashram in July 2010 and volunteered for a month. 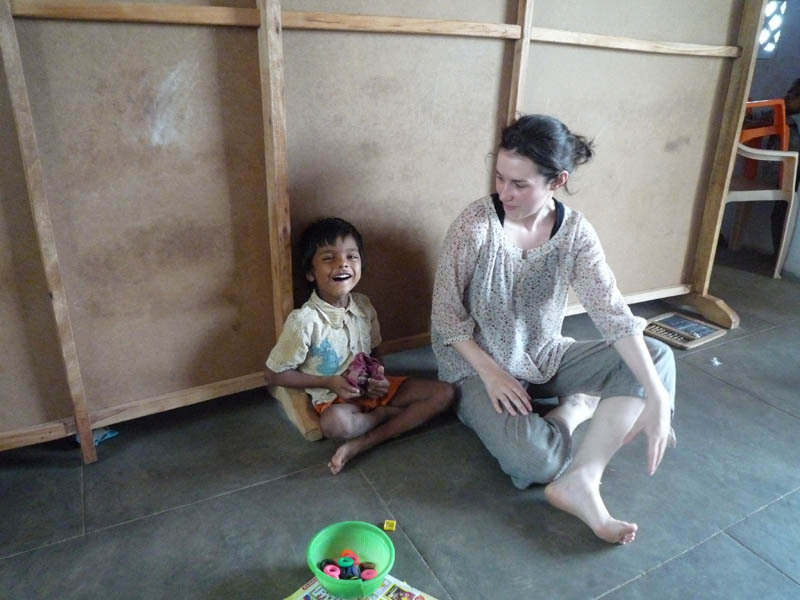 Becky was a first year Occupational Therapy student studying at Sheffield Hallam University and found out about the school through Health Help International which is based in Cardiff where Becky is from. 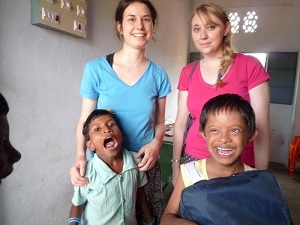 Rosie (left) and Katy (right) are Occupational Therapy students at Sheffield Hallam University, who arrived at Asha Kiran Ashram in June 2011 and stayed until August 2011. 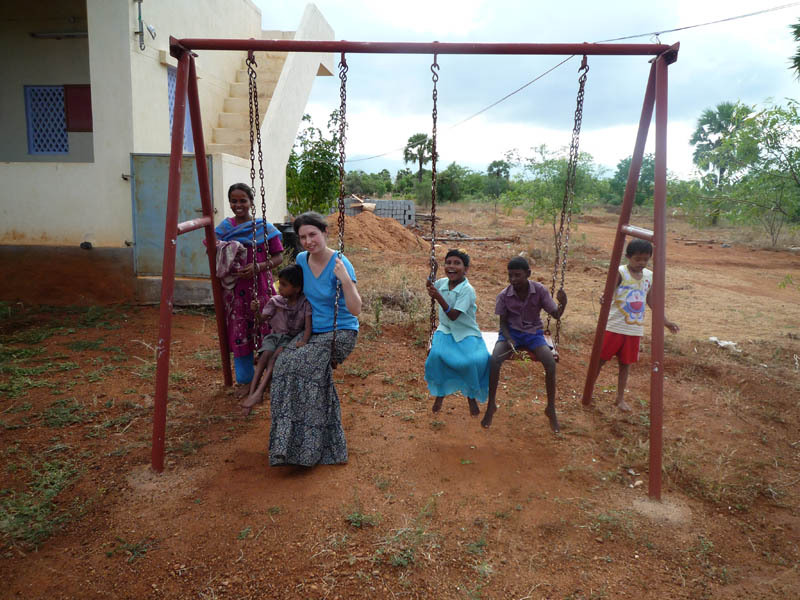 "Volunteering at Asha Kiran Ashram has been a brilliant experience! Rev. Santhosh and family made us feel so welcome and have been very kind and helpful hosts (and fed us well with delicious Indian food!). 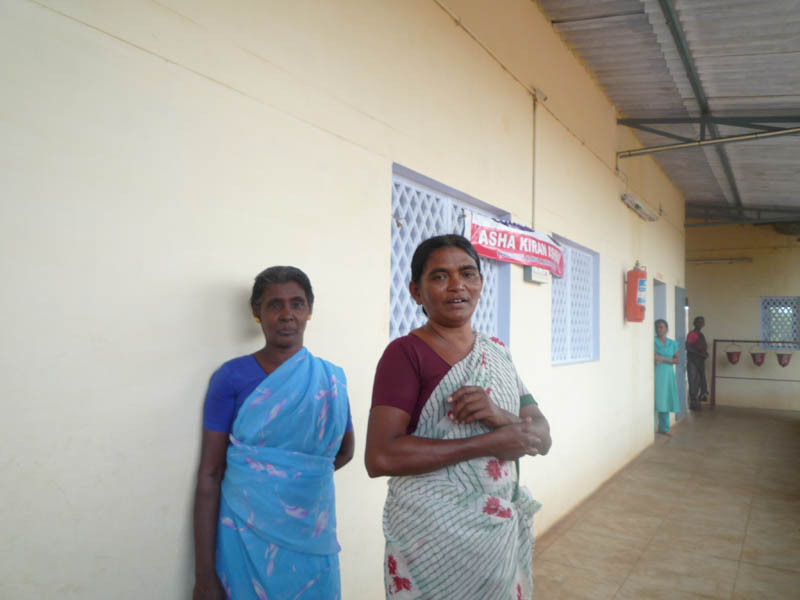 It is very humbling to see how far their tireless sacrificial work has helped so many. The family made us feel at home and Rev. Santhosh introduced us to all the staff and children at the school when we arrived who were all curious to know more about us and help us settle in. We learnt a lot while volunteering at the school. As Occupational Therapy students we wanted to gain more experience and take what we have learned from our training at university to benefit the children with disabilities (see activities tab about what interventions we carried out with the children..). It was also fun learning about another culture different to our own, tasting new foods, seeing a lot of new and exciting sights and wildlife and meeting some wonderful people. 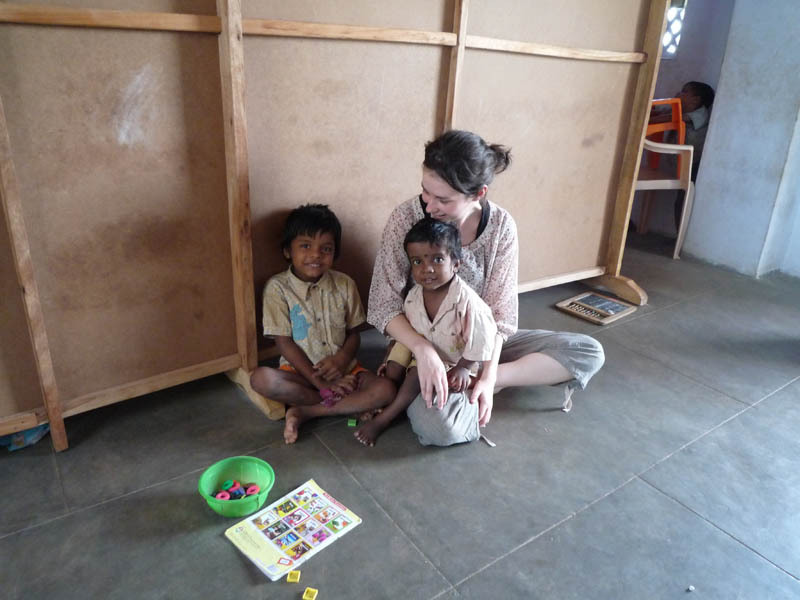 After our volunteering experience we were lucky to do some travelling around India, visiting Madurai, Periyar national park, Mysore, Bangalore, and the South West Coast of Kerala. 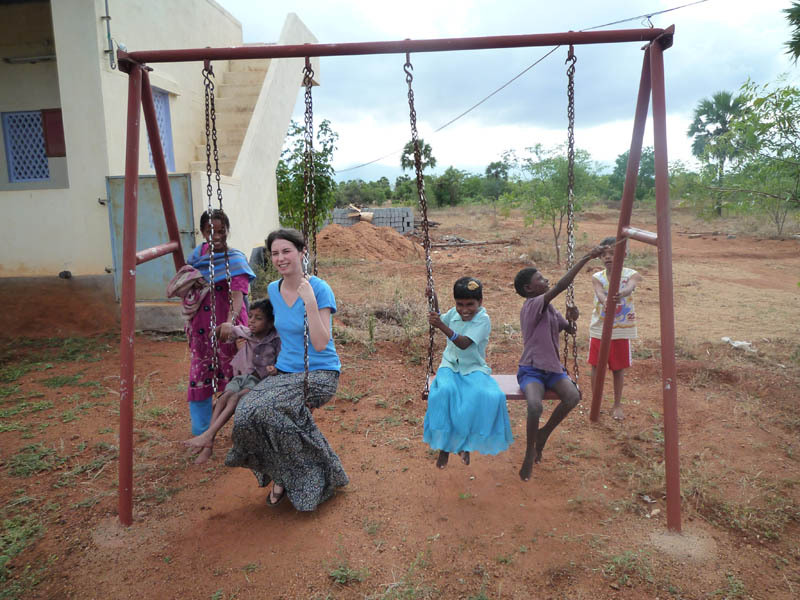 We hope to visit India again and Santhosh and family and all the staff and children at Asha Kiran Ashram"
Know the seasons- In Southern India it is incredibly hot and dry in April, May, June and then the Monsoon season starts. However, it seldom rains in the area where the school is, but is still hot and humid. The nearest airport is Trivandrum, where Rev. Santhosh will pick you up in the car. 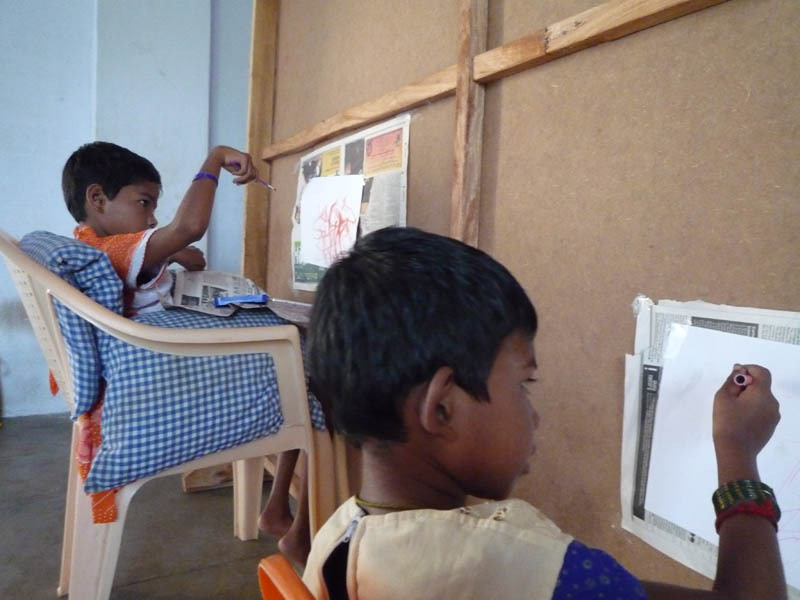 It is a few hours drive to the school in A. P. Nadoor. Rev. 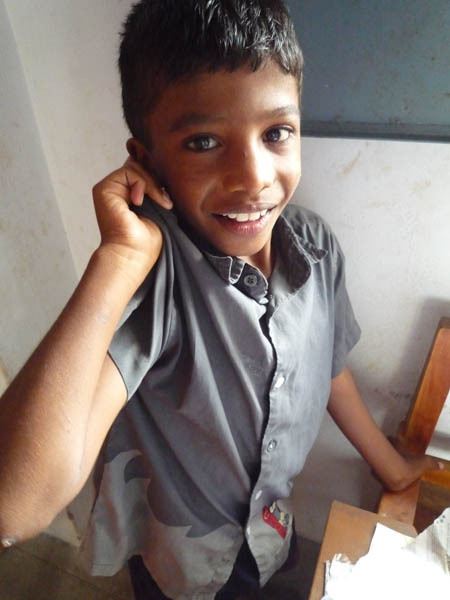 Santhosh and family live beside the school and are always there for any help, advice and to give you a delicious meal three times a day! 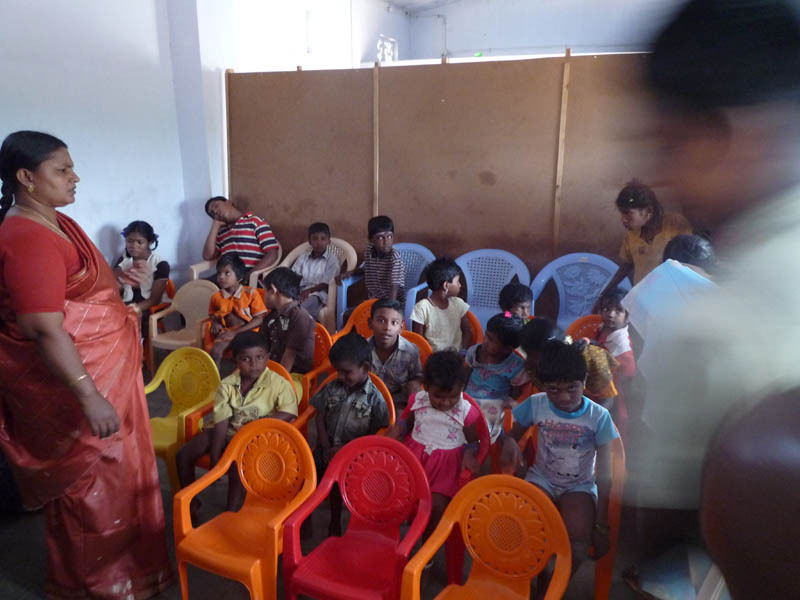 Volunteers have their own designated bedroom which is based on the school premises.